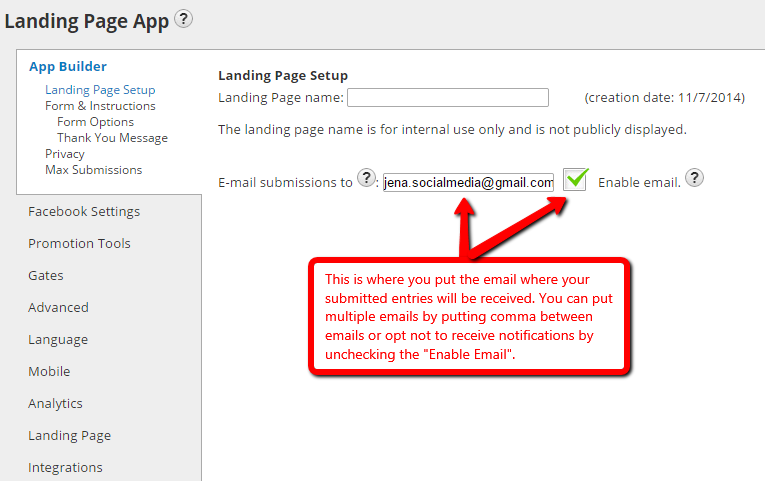 Use the Landing Page app to build a conversion form for email opt-ins, eBooks, events, deals and more. Build out the form with fields including text areas, dropdown menus, and checkbox options to ensure you get the fields your business needs to capture. Customize the URL page name and easily add optional Retargeting and Conversion tracking codes to track the ROI of your campaign. Mobile responsive, this app includes seamless integration with multiple email services and CRM including MailChimp and Infusionsoft. 1. When you login to your Tabsite account, you will see Tabs Section. 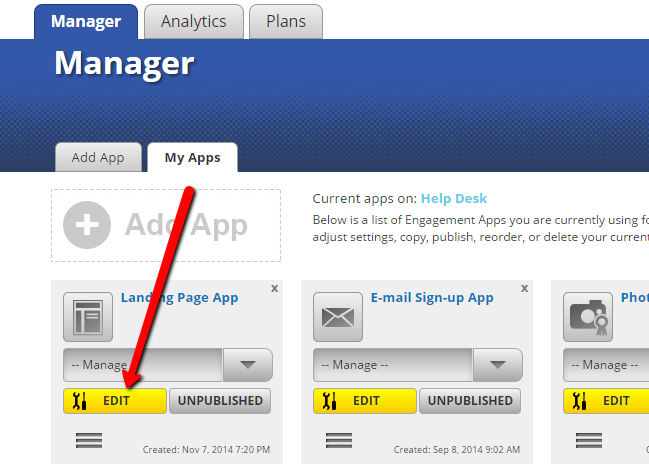 Click Manager section, then Add App tab. 2. Scroll down the Add App page and until you see Landing Page App. Click Add+ button. 3. 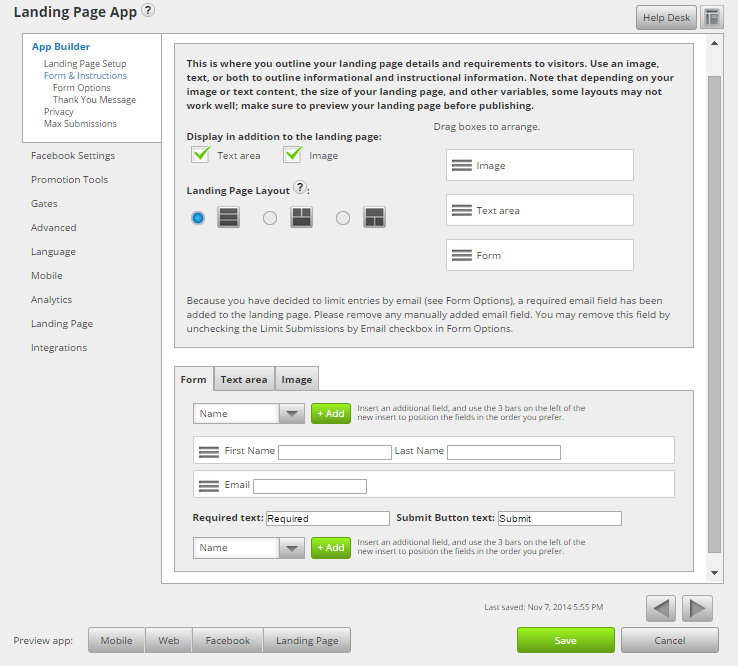 On the next page where you see all your Apps, it will already include Landing Page App. Click Edit. 4. The first part to creating your Landing Page app is to set your Landing Page name and the email account(s) where you want your submissions to be received or directed. 5. The Form & Instructions part is where you will design the layout of your Form. 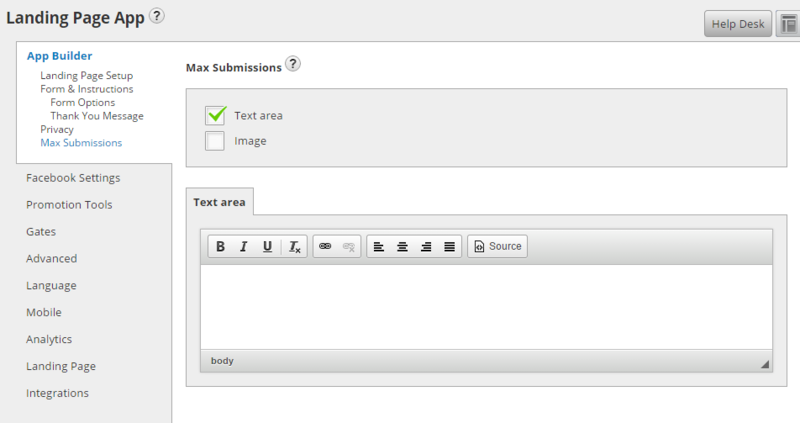 It consists of the form fields, text area, and images. 6. On a sub-menu of Forms & Instructions is the Forms Options. 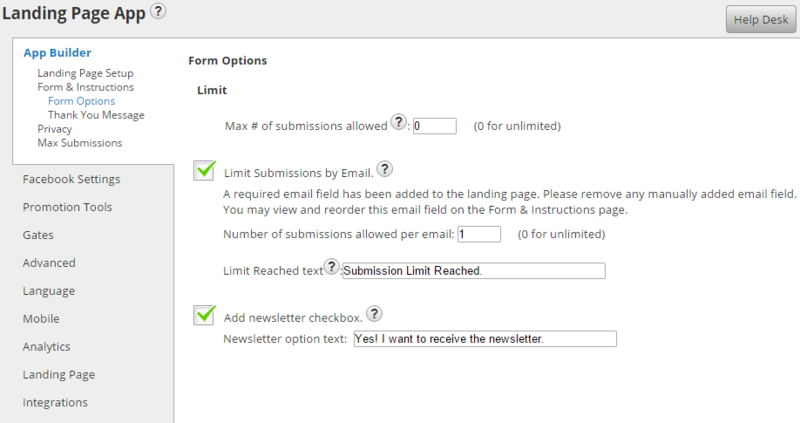 This is the part where you set the limits or the allowed number of submission per email. Newsletter subscription option is also set here. 7. Thank You Message sub-menu is where you set the Thank You message after the Form was sent. 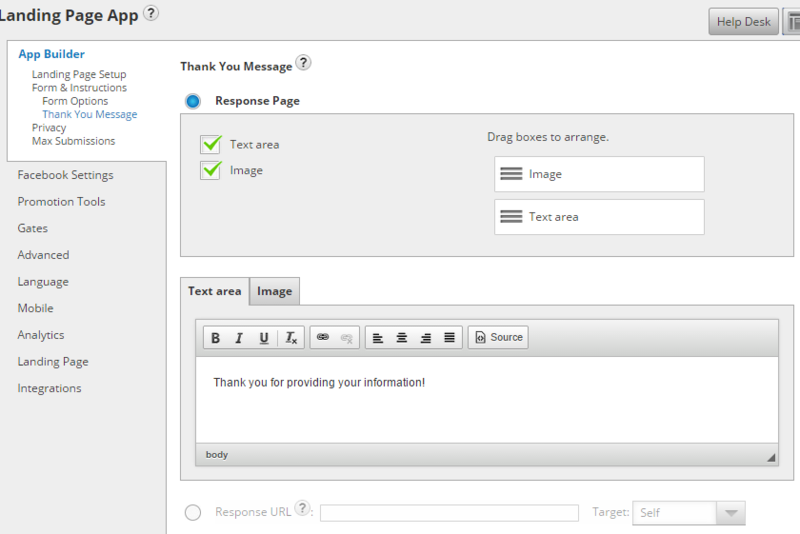 It consists of text, image and the URL of your Thank You message landing page. 8. You can also set a Privacy page. Don't forget to include the URL that links to your Privacy landing page. 9.Maximum Submission is a message you want to appear once the maximum number of entry submission was reached (if applicable). 10. If you are finished with all the necessary settings, just click the green "Save" button at the bottom-right part of the page.